“General revelation is a term used by theologians which refers to a universal aspect of God, of God’s knowledge and of spiritual matters, discovered through natural means, such as observation of nature (the physical universe), philosophy and reasoning, human conscience or providence or providential history. Evangelical theologians use the term to describe knowledge of God, which they believe, is plainly available to all mankind. These aspects of general revelation are believed to pertain to outward temporal events that are experienced within the world or this physical universe. So I confess a certain frustration when fellow Christians take diminish or take umbrage at the idea that unbelievers, with whom we share common life experiences not the least being “the human condition”, can find small echoes of divine truths within His fallen creation. Given these realities – not the least being the pervasive pull of sin within us all – is it any wonder that artists so often “get it right” in their but ultimately come to the wrong conclusion in their personal lives? The historical fact is that Pete Townshend wrote the song as a song of devotion to Mehr Baba, the spiritual guru that he began to follow in 1968. Of course given the universal nature of human beings the song has been recontextualized in many ways. It has been sung as everything from a love song to a jingle for a television advertisement. Perhaps as you were listening to it or reading the lyrics you even recontextualized the piece as applying to whatever, well, whatever. Speaking personally, in my days as a “merry” infidel atheist I would belt out the song to whatever my current devotion was at the time – from girlfriends, to politics, to rock music, to whatever – so for me it became a kind of secular praise and worship song to whatever my idol I happened to be worshiping at the moment. So you can imagine my shock when, after becoming a Christian, an older, wiser Christian told me (a recent, three-time Bill Gothard graduate no less) that “Bargain” was a powerful “Go for it!” song that reflected Bible passages like . . .
. . . and many, many others. Gaining that realization, “Bargain” then went on to become a recontextualized “go for it”, song of confession for me as well. And why not, after all didn’t Martin Luther, Charles Wesley, and Fanny Crosby also recontextualize the music of their day – some of it secular with no discernible religious roots – into songs of praise and worship? And apparently, I wasn’t alone . . .
Now I think I know Resurrection Band well enough to know that they would tell you that the old cliche’ that, “God’s ways are not mans ways” is true and that one must move past general revelation to special revelation – or even direct revelation for that matter – in order to enter into a saving relationship with Jesus Christ. And, of course, I agree with them completely. So, one might even feel lead, as I have, to hope and pray that the composer of this classic song might someday make that move himself. But still you’ve gotta admit, regardless how you contextualize it, this is a truly inspired song! C. S. Lewis, “Mere Christianity” (Macmillan, 1965 edition), p. 168. 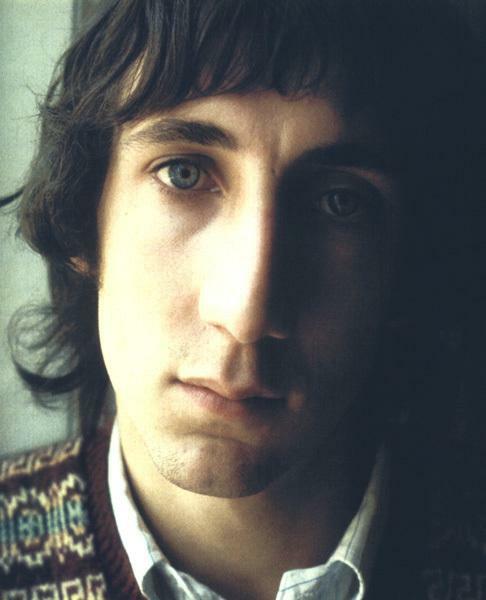 “Townshend showed no predilection for religious belief in the first years of The Who’s career. By the beginning of 1968, however, Townshend had begun to explore spiritual ideas. In January 1968, The Who recorded his song “Faith in Something Bigger” (Odds & Sods). Townshend’s art school friend Mike McInnerney gave him a copy of C. B. Purdom‘s book The God-Man, introducing him to the writings of the Indian “perfect master” Meher Baba, who blended elements of Vedantic, Sufi, and Mystic schools.